Having lived in the Mission for over a year now and indulging in the oh-so-healthy cuisine of Taqueria Cancun countless times (and yes, even sober), it's time to formally give it the attention it deserves. Everyone is all about Cancun's burritos, but I'm publicly declaring myself a member of the Quesadilla Clan. People, trust me - it's all about the Super Carnitas Quesadilla. After trying the exact same item at El Farolito, La Taqueria, El Toyanese, El Toro, and El Castillito, I'm finally ready to make my official decree: Taqueria Cancun's version is the best. Making a quesadilla taste amazing is not a science - loading that thing up with cheese, sour cream, and guacamole pretty much guarantees instant infatuation. So, for local taqueria aficionados (starving students and drunk folk, mainly), it all comes down to the meat. Thus, the carnitas at Cancun are what really makes this taqueria stand out from the crowd. Why? 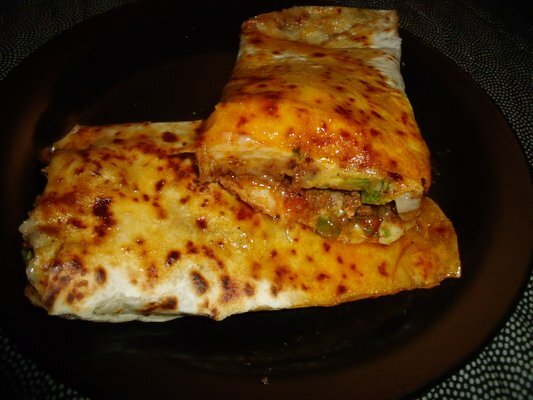 Because they're incredibly flavorful, don't have an excessive amount of fat, and more importantly, are fried up on the spot rather than being served dripping wet with cooking juices, keeping the quesadilla from getting soggy. I could go on and on about the details, but c'mon, it's a quesadilla; I'm not about to pick it apart and comment on "technique." It's amazing, every time. What more is there to say? Also, this place is open until 2:45am, which has been a double edged sword. The good side is that it has become my go-to spot for a "midnight snack" - what I prefer to label as a "I'm ridiculously drunk and must eat 2000 calories before bed" snack. At those times, who could ask for anything better than a few precious moments with warm, gooey cheese, crispy pork, a tortilla, and sour cream? The downside is that I gain 5 lbs every time I eat here and they will have to start greasing my sides to fit me through the door if I keep it up. There are only two problems, the first being that the chips are awful. I'd bet a lot of money that they come from an 80 lb Costco bag. The other is that sometimes they can make the salsa so spicy that my mouth burns for about 4 hours afterward. Luckily, the chips are of little importance when the main dish is gigantic, and one bite is worth 10 hours of pain. Taqueria Cancun, you may be a danger to my diet, but your cheap, delicious, blissfully unhealthy Mexican food is one of the many reasons I love living in California.